With Spring upon us, it is time to think about sun safety as it relates to your skin. Did you know that window films can be an effective sunscreen in your car, home or office and they are actually recommended by the The Skin Cancer Foundation? Check out the article below in Medical News Today to make sure you and your family are safe from the dangers of the sun. 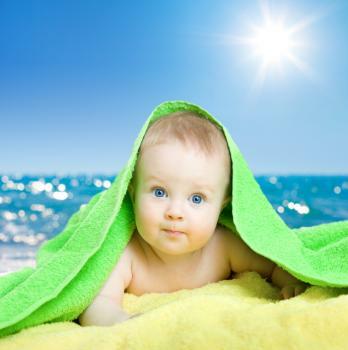 According to The Skin Cancer Foundation, infants aged 6 months and under should be kept out of direct sunlight. This is because they have low levels of melanin in their skin – the substance that gives pigment to the skin, hair and eyes and protects against the sun – meaning they are very sensitive to UV radiation. As such, the Skin Cancer Foundation recommend that parents take their infant for walks in a stroller with a sun-protective cover before 10 am and after 4 pm – when UV radiation is lowest. Infants should be dressed in lightweight clothing that covers the arms and legs, and their face neck and ears should be protected with a wide-brimmed hat or bonnet. When an infant is traveling in a vehicle, it is wise to cover the windows with removable mesh window shields or UV window film to reduce sun exposure. Contact Adams Window Tinting at 405-787-6798 to learn more about how window films can protect you from the dangers of the sun.